The Brvtalist is proud to present a new mix from Russian artist Morenceli. This emerging solo project first appeared in Moscow's underground in 2015 and she released her debut EP, Stigmatization, late last year on London's Blackwater Label. New Brvtalism No. 082 is a haunting narrative of crushing ambient, ritual post-industrial, rhythmic noise and beyond. The Stigmatization EP contains 4 tracks of experimental industrial, noise, ambient and power electronics. A classically trained musician, Morenceli's production displays an effortless grace and subversive depravity all at the same time. From the dark soundscapes of "Narcissistic Nature" to Dorian Grey's techno remix of "Caligula Statue", this is an excellent debut EP and we look forward to the artist's next release on the vinyl only label VENT. With her first European shows on the horizon, we can't wait to see what's next from Morenceli. For more, visit Soundcloud and Blackwater Label. One release we've been waiting for to start the year is the new EP from Berlin-based, Russian artist Alexey Volkov. Cold Blooded Genius is the second installment on LINDA RECORDS and this young imprint continues to impress with its great selection of artists and thoughtful presentation. The latest vinyl offering is a beautiful translucent red 10'' with an lust-worthy accompanying poster by photographer Jan Zimmerman. The music doesn't disappoint either, with three tracks of raw, rhythmic electronics that shatters the boundaries between techno, industrial, EBM and more. The record starts perfectly with the title track on Side A building you up with its heart pounding percussion and filthy, mechanical grind. Side B begins with the tension filled, warehouse destroyer "Unfriendly Nation" and "Curtains of Flesh" closes out the release with a massive introduction that bleeds into an infectious techno assault. To help launch the release, The Brvtalist is pleased to premiere the video for the title track, "Cold Blooded Genius". This EP was already getting a lot of attention ahead of its release and the vinyl can now be ours. The EP is available now via Bandcamp and other fine record sellers if you can manage to get your hands on one. For more visit Facebook and Soundcloud. The Brvtalist Premieres: Multiple Man - "Power Fantasy"
The Brvtalist is pleased to premiere a new track from Australian duo, Multiple Man. The project of twin brothers, Sean and Chris Campion, Multiple Man is a high energy mix of EBM, synth, wave, acid and more. "Power Fantasy" comes of their debut LP, New Metal, out on Atlanta's DKA Records. Since our first listen, we have not stopped playing this track at Brvtalist HQ and the whole LP has already become one of our favorites this year. The artists describe it best when they say New Metal is, "8 NU TRACKS OF BURNING CHROME, CROSS CONTINENTAL HI-NRG, FIRM HANDSHAKE ELECTRONIC BODY MUSIC." One listen and you will immediately be hooked. New Metal is available for pre order and also be sure to check out DKA's upcoming compilation, Strategies Against The Body Vol. 2. This has been one of the best labels to watch and we look forward to more from Multiple Man and DKA. I've always returned to Architectural's work, but the moment I heard Witches’ Dance, I became completely drawn to his mesmerizing spaced-out universe. There’s a certain escapism to his sound, which comes as an invitation to an alternative reality, where Kafka-esque stories are being told through noise instead of words, and abstract paintings become cohesive sonic canvases. With his latest EP, Cubismo (which obviously draws inspiration from the early-20th century artistic movement), Juan Rico aka Architectural, does what he knows best - deconstructs the reality around him and rebuilds it in a way that reflects his aesthetic without repeating himself. The EP offers both dance-floor ready raw techno cuts, as well as a rather cinematic series called Lost in Buenos Aires, which is the perfect introduction to the mix he prepared for the Brvtalist. No. 081 feels like more the work of a narrator who guides us through different sections of a movie, which unfolds itself with each step surprising both the listener and the storyteller. The mix captures the essence of Juan Rico’s approach to music, his penchant for fragmentation of sounds sequences, but also his constant drive to experiment and to open up to new avenues of interdisciplinary arts. The EP ‘Cubismo’ went out on December 9th 2016 and you can buy it from here. For those of you living in Berlin, make sure you catch Architectural on February 10th at Suicide Circus. The Brvtalist is pleased to premiere a new track from Barcelona-based, French producer Marla Singer. 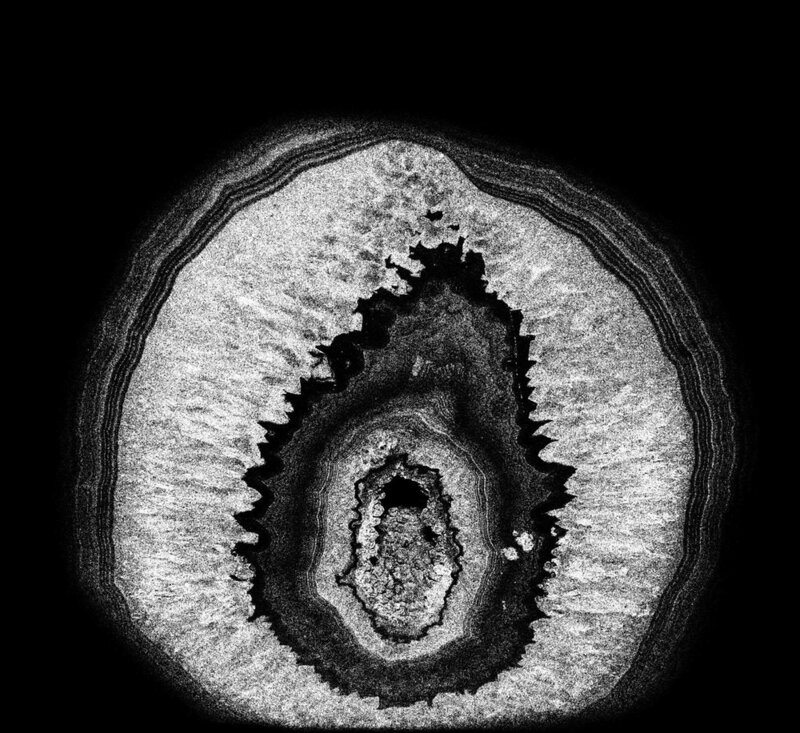 "Claviceps Purpurea" comes of the artist's new EP, Different Drops, on Los Angeles-based techno label INVERT. The track is a striking amalgamation of styles ranging from techno, acid, rave and more. With an alarming pace and pounding percussion, Singer's production strikes all the right chords. The EP includes three other tracks which showcase the artist's superb production prowess in the realms of techno and other rhythmic electronic forms. "Claviceps Purpurea" is a great way to introduce the EP and we are thrilled to present the premiere. The EP is set to come out on February 13, 2017 and be sure to check out INVERT's other great releases , upcoming videos and events. Please visit Facebook and Soundcloud for more. The Brvtalist is pleased to premiere a new track from Athens-based artist Expropriation. "Poza Putana" comes off the anonymous producer's debut EP, out January 2017 on Greek label Vanila Records. The B side of a two track vinyl release, we were instantly gripped by its strict electronics with slightly left field disco and techno qualities. Side A's "Expropriate While U Can" is a similar slow, filthy burn which perfectly captures the current mood of the Greek capital. The vinyl is out first later this month with digital to follow and distribution comes by way of Re.brith. This is a great EP from a producer who is one to watch. For more information visit Soundcloud and Facebook. The Brvtalist is proud to present a new mix from Berlin-based artist Nicolas Bougaïeff. Along with being one of the most exciting producers in underground techno, Bougaïeff is a true academic of musical architecture, theory, classical contemporary and more. New Brvtalism No. 080 is an incredible intersection of Bougaïeff's sound and the mix includes some of his own stellar productions. Nicolas Bougaïeff’s EP Ascent is the fourth and last release for 2016 coming from Berlin-based label Establishment, a cosmic trip into the fascinating world of an artist for whom music is not just pleasant sound meant to be heard in the background, it’s a tool which can be studied and deconstructed because it has so much to give in return. Released on November 28th 2016, the EP is out now and if you’re not familiar with the work of Nicolas, we invite you to find out more about him, his latest EP and future plans through this Q&A. Marie Bungau: You don't hear everyday about doctorates on techno and Plastikman. What motivated you to pursue this path? Was it a difficult subject to write about? 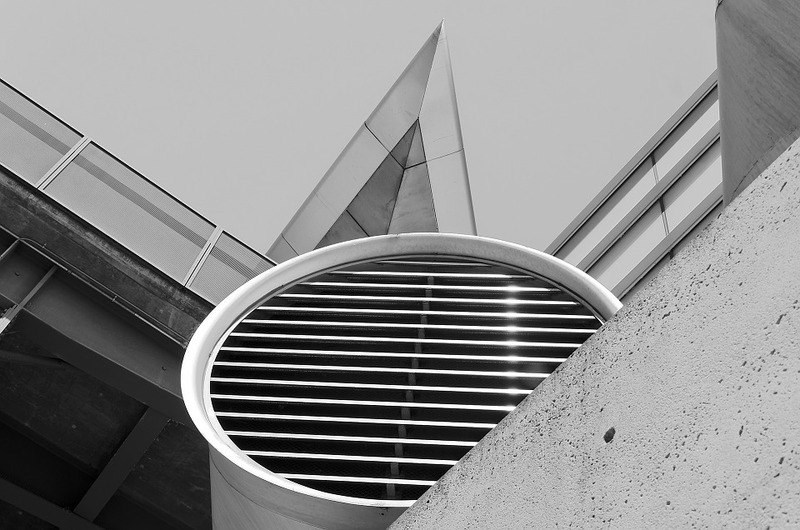 Nicolas Bougaïeff: My goal is to understand the architecture of music, the structures hidden behind the sound. I’ve relentlessly pursued that not only with techno, but also with classical and electroacoustic musics. I spent years studying harmony, counterpoint, formal analysis and ear training. I ended up completing a degree in electroacoustic composition at the Conservatoire de Musique de Montréal, an intensive course modeled on the work of musique concrète practicians and theorists such as Pierre Henry, Pierre Schaeffer, Michel Chion, Parmegiani, Bayle and so forth. Although I started producing electronic tracks when I was 13 years old, I was never strongly connected to any scene. Moving to Berlin in 2008 was a way to throw myself into the lion’s den and commit to techno. Shortly after the move I was contacted, via MySpace, by Dr Rupert Till at the University of Huddersfield. He’d spotted my profile and invited me to apply to a doctoral program. I came into contact with Richie Hawtin a year later, started developing controllers for the Plastikman Live show and everything fell into place. Writing the thesis was challenging because it’s a marathon endeavor, a little bit every day, but on the other hand I knew exactly what I was trying to accomplish. I wanted to analyze techno tracks using conventional music terminology, and bridge the gap between hundreds of years of western musical thought and today’s self-taught production methods. Having access to all the Plastikman Live materials was an incredible source of raw data. Techno is a genre predicated on repetition, variation and improvisation. I wanted to understand the implications both in the work of individual producers and on the scale of a global scene. MB: You recently released the "Ascent" EP on Establishment. How did this collaboration happen and why this particular label? NB: Peter Kirn and I first met about six years ago but I’d been reading his CDM blog already for years. Besides sharing a common interest in music technology, he also has a heavy background in classical music. We’ve had long conversations about the intersection between music theory, music technology and dance floor productions. Peter came down to one of my gigs last year where I played a lot of my unreleased productions. Two of the tracks that got his attention were Ascent and Orbit. He told me about his plans for Establishment — the label hadn’t launched yet — and proposed a release. Peter’s extremely activate in creating and supporting links between artists, technology and music education, so I didn’t hesitate to jump on the opportunity. MB: Walk us through the release, what inspired you, how did you choose the remixers? NB: Most of my productions are about trying to combine techno with classical, avant-garde or acousmatic techniques. Whether it’s adapting Steve Reich phasing techniques, as I did in Decompress, or using Neo-Riemannian harmony in Pulse Train, I’m always trying to find ways to adapt modern composition techniques to a dance floor friendly format. Both Ascent and Orbit follow this pattern. I was inspired by a synthetic chord that mixes elements of major and minor scales. It’s borrowed from late 19th century romantic music, you can also hear it all the time in film scores where it’s used to create a grandiose sense of awe or mystery. I chose the remixers because of the ongoing musical friendship, going back years. I’ve known the name Mateo Murphy for years, he was already DJing at parties when I first started discovering the rave scene as a teenager. We became good friends later in Montreal, shortly before I made the move to Berlin. Nowadays we’re always texting about music releases we discover, and sharing sketches and new productions. It’s really a big honour for me to have him on board, I always looked up to his productions and his industry experience. Hithertoo is a new friend, the connection was made through Peter. Mallone is a young super talented native Berliner, we first met at a festival we were both playing at a couple years ago. His drive and energy is really inspiring, it’s really important for me to develop connections with producers older and younger than me. I think we need more dialog and collaborations between the generations of artists. MB: I noticed the release comes with a stems edition as well, an audio format which is more and more available on platforms like Beatport, Juno or Traxsource. What would be the advantages of releasing stems for a producer? NB: Stems is a fascinating format, and I truly hope it finds wider adoption. Releasing stems offers a really interesting opportunity for producers. Separating your tracks into four distinct streams forces you to think about some of the basic parameters of music: melody, harmony, rhythm, texture. Mixing, especially with four decks, forces you to think about music structure. With normal stereo tracks, you can’t mix clashing harmonies or mix clashing rhythms, but you do have a lot of freedom to mix pure rhythm tracks with pure ambient tracks. That's what I’m doing in my mix here, I’m combining techno tracks that have purely rhythm with avant-garde orchestral recordings that are purely ambient harmony. Releasing stems separates these different parameters and opens up the door to musical combinations that would’ve previously been either impossible or impractical with stereo tracks. MB: What can we expect from Nicolas Bougaïeff in the near future? A full length, a tour, maybe a new research paper? NB: There is a full length in the pipeline. I worked with an amazing cellist, Émilie Girard-Charest, and I built all the sounds for the album by processing cello recordings. We did a live show a couple months ago at OHM Berlin. It was an amazing experience, and I can’t wait to share more details. Ascent is available now via Bandcamp and for more on Establishment visit Facebook. The Brvtalist is pleased to present the new record from Berlin's Operant. 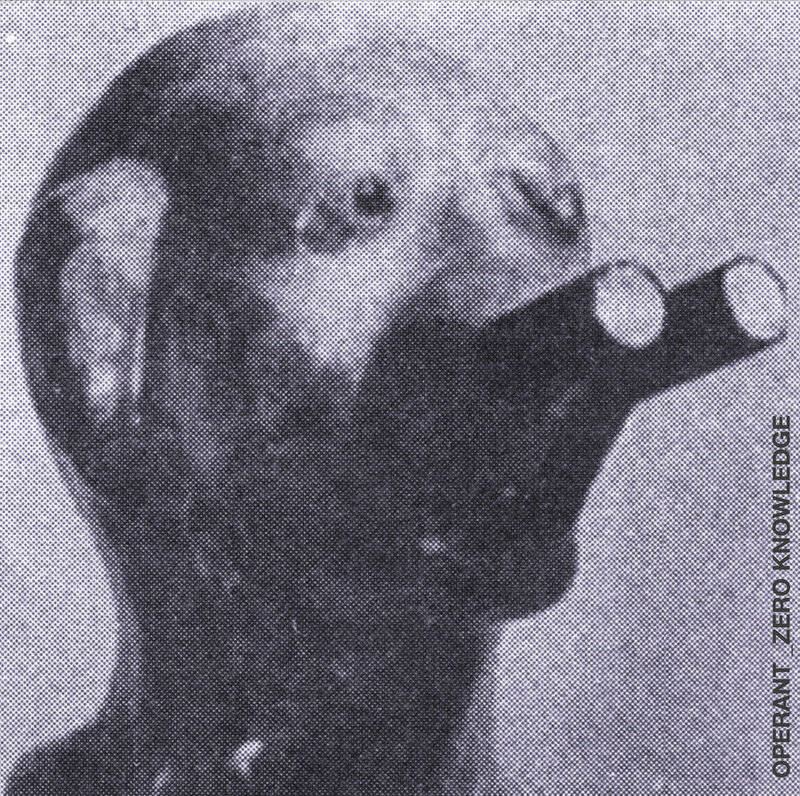 The project of Luna Violenta (Instruments of Discipline) and August Skipper (Ascetic), Operant exists in a unique realm, passing between power electronics, industrial, techno and dark ambient. We featured the duo's debut cassette, ZK-II, back in September and we are thrilled to see a vinyl release with 5 brand new tracks. Co-produced by Blush Response and mastered by Eric Von Waterghem, Zero Knowledge explores the idea that wounds are gateways to parallel dimensions and our bodies are just beginning of something else? Opening with the dark ambient composition, "Prison 01", and moving into the noisy post-industrial gem, "Limbs", the record quickly pulls you from the grips of reality and leaves you in an unknown sonic atmosphere. The tension of "Deliverance" gives way to a pulsating end, which bridges the gap to the coming assault. "Insular" punishes with a forceful industrial techno sound and the record closes with the experimental and aptly titled, "The Alpha is Destroyed". To help launch the release, we also have the mind bending video for "Deliverance". 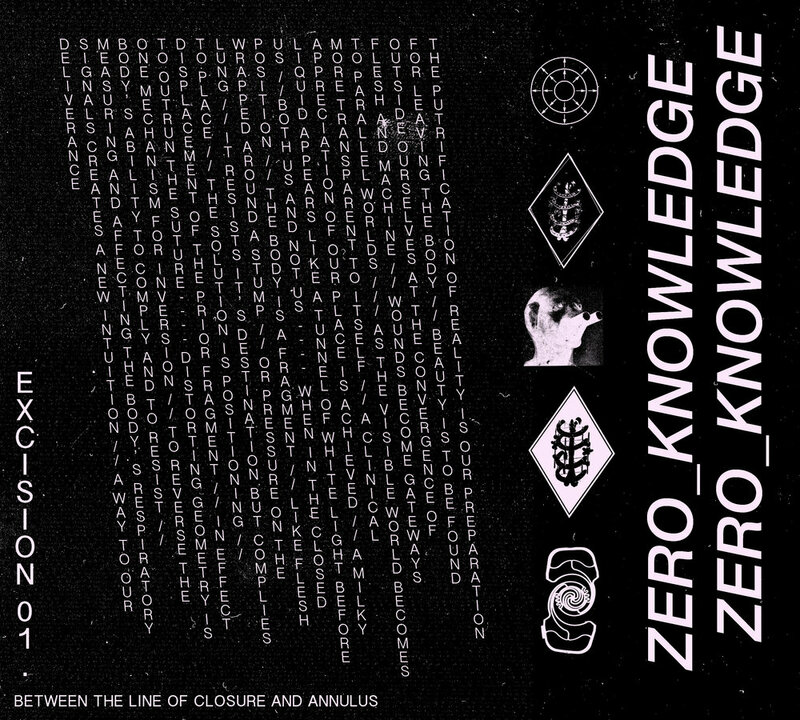 Zero Knowledge is a striking experimental work that weaves perfectly between the darkest corners of electronic music. The record is available now on transparent petrol marble vinyl and digital formats on the always excellent Instruments of Discipline. We look forward to more from this duo. Video Premiere: M Ax Noi Mach - "White Heat"
The Brvtalist is proud to premiere a new video from Philadelphia-based artist, M Ax Noi Mach. The solo project of Robert Francisco, this has been one of the most vital acts in the genres of noise, industrial, EBM and more since the late 90's. The track "White Heat", comes off the LP, On The Edge (Alter), the first full length release from the artist in over 6 years. We were instantly gripped by the video and its tension-filled, raw aggression. The track also showcases Francisco's focus on socially conscious lyrics while the brutal, yet minimal electronics crushes your spirit. The rest of the LP is just as impressive, with 8 tracks of material that is a nice realization of M Ax Noi Mach's wide rang of influences and talents. This is a project you can't quite pin down and there's a reason it's been successful for so long. We had the pleasure of seeing the last live show in L.A. and it solidified our admiration for this artist. For more information and purchasing, please visit Alter. The Brvtalist is proud to present a new mix from PPG. The collaborative project of Katie O'Sullivan (Further Reductions, Cititrax) and Lili Schulder (51717, Jealous God), PPG blends a variety of influences to create a unique vision of electronic music. New Brvtalism No. 079 is a true odyssey through the duo's inspiration and a great way to start our year.